The Glenlivet has announced the launch of two new NAS expressions that will join its Master Distiller’s Reserve, as part of a new collection of triple-cask matured single malt whiskies, available exclusively in Travel Retail. 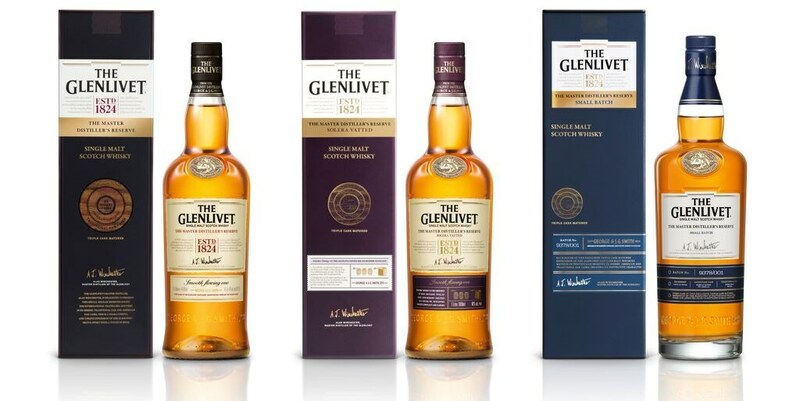 The Glenlivet Master Distiller’s Reserve collection, is said to bring exceptional cask quality and a unique breadth and depth of flavour to the fore. Each expression has been made using a selection of the highest quality hand selected Traditional Oak, American Oak and Ex-Sherry Oak casks. Giving each expression ‘three times’ the character for a discernibly rich and “three dimensional” quality. The Glenlivet Master Distiller’s Reserve Solera Vatted (40% ABV) The ex-sherry, American oak and traditional oak casks have been brought together in a Solera Vat. The Vat is never emptied, in a process which creates a rich and intense whisky, developing greater complexity year on year. A high concentration of first fill American oak casks bring a creaminess and honeyed sweetness to this expression, which has a uniquely velvety character. The Glenlivet Master Distiller’s Reserve Small Batch (40% ABV) Each batch of this expression is created with individually selected casks, chosen from the collection of whiskies maturing in the Glenlivet warehouses. Every single cask is nosed prior to the final selection and the finest first fill ex-sherry and American oak casks are combined with traditional oak casks. It is then bottled and released in small batches. The two new expressions now join The Glenlivet Master Distiller’s Reserve (40% ABV) which was originally released in 2011 and is said to be the cornerstone of the new collection, and are presented in a luxury carton containing tasting notes and is completed with a bold symbol to signify the three types of wood and the multi-layered characters of the whisky. 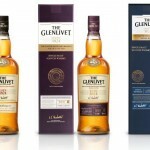 The Glenlivet Master Distiller’s Reserve collection will be available exclusively through Travel Retail from July, for the RRP’s of; The Glenlivet Master Distiller’s Reserve $52.00, The Glenlivet Master Distiller’s Reserve Solera Vatted $75.00 and The Glenlivet Master Distiller’s Reserve Small Batch $150.00.